Are you a parent or educator in search of a UNIQUE, FUN, EASY and EFFECTIVE way to teach young learners aged 5-8 how to read a clock face and tell time? Then you’ll love Tic Toc Time: Break Down the Day to Learn How to Tell Time! 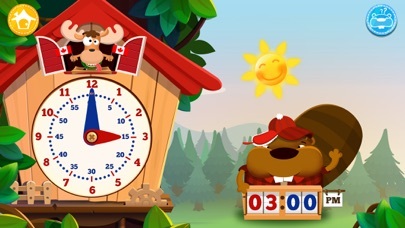 ***** Parents‘ Choice Awards Winner, Fall 2014 ***** ***** Mom's Choice Awards Winner 2014 ***** ***** App Store "BEST OF 2013" Finalist ***** ABOUT TIC TOC TIME Learning to read a clock face is not an intuitive process for children. Tic Toc Time for iPad and iPhone is the world’s first time-telling app that teaches children aged 5-8 how to read a clock face using elements that they’re already deeply familiar with: sun, shadow, night and day. EXPERT-CRAFTED Once the foundation is laid, children are taught how to read a clock face and tell time via a simple, easy and fun learning path that was crafted in conjunction with renowned Swiss astrophysicist Slim Hamdani. MEETS ACADEMIC STANDARDS Tic Toc Time meets the Common Core State Standards for mathematics, including standards for telling time in grades 1, 2, and 3. And because it’s so much fun, children won’t even realize that they’re learning! CREATE MULTIPLE PROFILES Tic Toc Time lets you create up to 40 unique profiles for all of the young learners in your life. It’s ideal for school use, home use, while in transit/traveling, or anywhere else! EASY SETTING MANAGEMENT You’ll find it easy and simple to manage all of Tic Toc Time’s settings, including text, audio, sounds and AM/PM or 24-hour mode. > Secure gaming environment: No ads, no external links, no in-app purchase, no social media access, no personal information request > 11 languages: French, English, Spanish, Portuguese, Italian, German, Dutch, Russian, Chinese, Japanese and Korean REVIEWS "But still, each lesson is important in learning and understanding time. This is by far the most comprehensive time-telling app on the market." 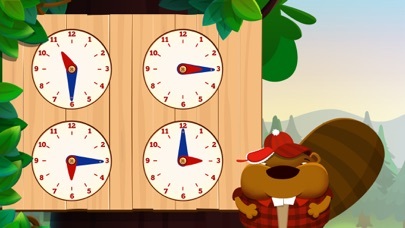 - Smart Apps For Kids "Tic Toc Time is more than just an app that lets juniors learn about the time of day. It's a discovery game that lets you discover what makes our day it is. It's one of the best science-themed apps for younger juniors on the App Store. I'd highly recommend it for juniors who are learning how to tell the time." - Geek with Juniors CONNECT WITH US! If you have any support requests, please write us at support@edokiacademy.com or visit Edoki Academy Online Community at edokiacademy.com. 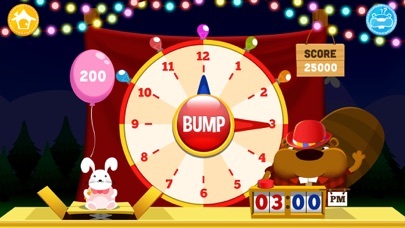 This app is a colorful and wonderful way for kids to learn their basic skills. It is very creative with clocks to get kids hooked. Cute game. It's great for kids learning things like the compass. It's stupid. And why does it need a digital compass? Just a way to get people to upgrade. Thanks apple. 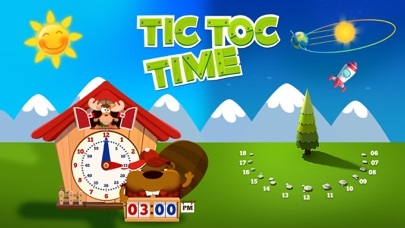 It is very difficult for kids to learn how to tell time , this app has taught my niece very quickly and she loves it. App has Nice graphics and quick learning format with colour distinction the main way to learn. 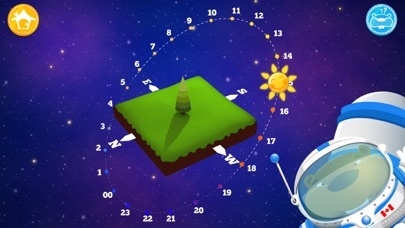 This is a great educational app for kids to learn about time. Nice graphics and smooth UI. Full of gratingly incorrect statements: "The sun is in the middle of the sky", "The sun does not set", etc. One gets what they mean, but precision is important to teach science. To top it off, it makes fun of lisps and uses the construction "Man uses the compass to..." Haven't heard that one in decades! I was looking for some educational apps for my son, and he loves this one! Very engaging and keeps him interested. this an amazing learning game.kids get addicted to this game quckly. it is not like other games. it has amazing graphics it helps kids learn quickly. Beautiful app that actually worked with my school going grandkids. This game is awesome for small kids just learning about time. The clocks and graphics are colorful and vibrant. Thank you for this cool app.